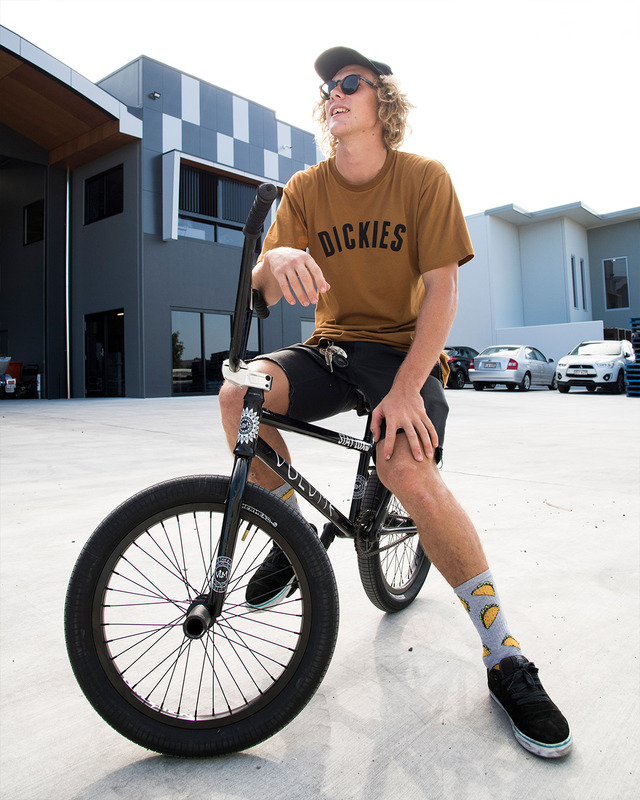 Meet Boyd Hilder, a young Gold Coast man with eyes on International BMX stardom. We've been lucky enough to have met Boyd a handful of times, and he never fails to blow onlookers away with his incredible riding. Whether that be at the skatepark, on the street, or competing overseas amongst some of the best riders in the world - he's always ripping with a smile on his face. We sat down with Boyd to get a little more insight into who he is. D: Where did you grow up? 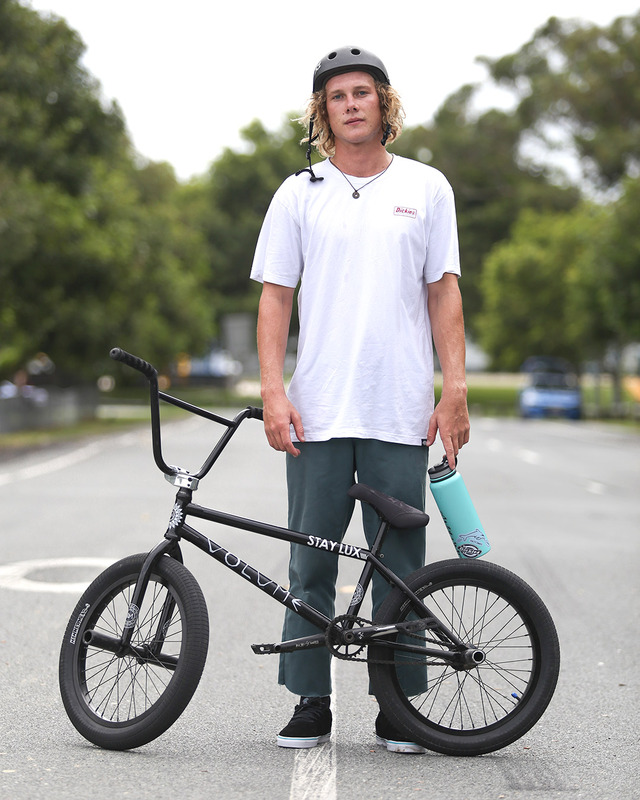 BH: I was born in Bundaberg in central Queensland, super flat small town with not much to do but build dirt jumps or hang out with mates at the skatepark. Eventually made my way down to the Gold Coast about 5 years ago and have been loving it ever since. D: Who are you currently riding for? BH: My bike is looked after by Volume bikes along with demolition parts, and serviced at Lux bmx store in Brisbane. Other than that I've got my sig shoes with Verve footwear and now Dickies ANZ for my clothing. Stoked as! D: What's coming up for you? BH: Coming up real soon I've got one of the best events of the year! the ACT jam in Canberra - nothing but 3 days of bikes and beers with the whole Australian BMX community. The weekend following that I've got the first stop of the Vans Pro Cup series at 5 dock skatepark in Sydney. Once that's all wrapped up I'll be home for a month and a bit then over to the states for filming missions with bike sponsors and some more contests. D: Are you working on any new stuff? BH: Only just wrapped up filming for my Sig frame promo, done a bunch of stuff I'm stoked on and a couple of new ones I've been working on for a while! Keep an eye out for that in the next couple of weeks. D: What else do you like to do apart from riding? BH: Lately I've been getting into surfing, super hard and challenging but finding it real fun! Along with that I love getting in my van with the misso and venturing around checking the surroundings, finding new spots to ride, surf and camp. Good fun! D: Where do you hope to be in 5 years? BH: Hopefully still riding and enjoying everything! Would really like to find a way to get a job involved in the scene. Coaching, building parks or my own brand. Anything to keep that BMX dream alive! You can check out Boyd's Instagram here! Photos by @summerpoolclub & Dickies.